Sorry. This mighty Vis cannot possibly manifest on a mere handheld device! 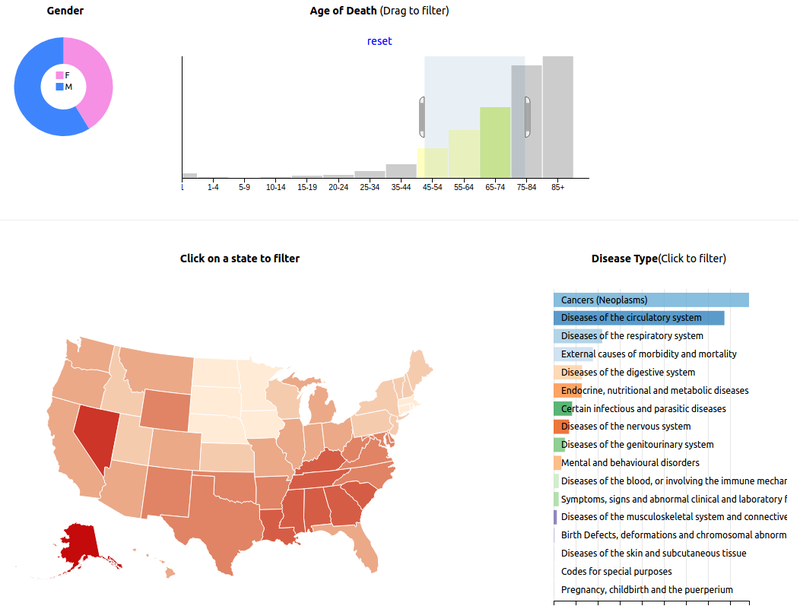 Click on states, or causes of death to filter the dataset. You can also drag on the bar and line charts to filter by age of death or year. States are colored by the fraction of all deaths for that state. infinome is an open genomics research initiative. With the right data, we can all fit better into our genes!